Today I learned about Hubbub – a game of chance played using stones or other everyday objects that have two sides. The game was brought to my attention by two teachers enrolled in my Trent University Math courses. After much research, I have found there are a variety of implementations of the game depending on multiple factors. 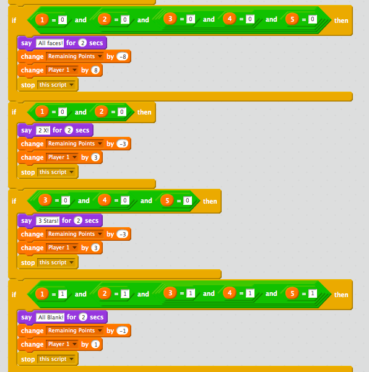 I decided I was going to attempt to code a simulated version of the game using Scratch. This project is based on the information found here. Points are calculated using sticks. 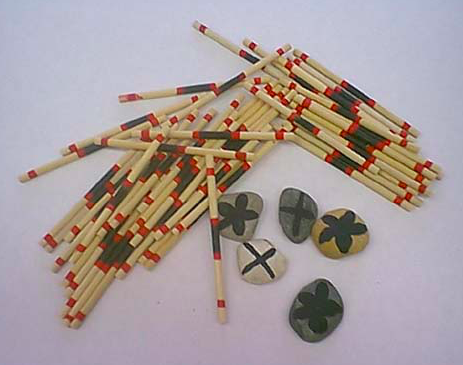 Fifty sticks are required (this seems to vary as well) and players take sticks corresponding to their points after each roll. When the sticks are gone, the game ends and each player (or team) counts their sticks. 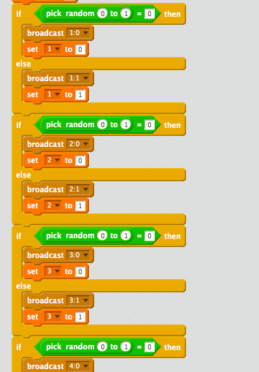 In my Scratch game, players take turns by clicking their corresponding “Roll!” button – player one is red while player two is blue. Each stone has two costumes as per the game and I use the random number generator for each. I’m certain my solution isn’t the most efficient but it does work. 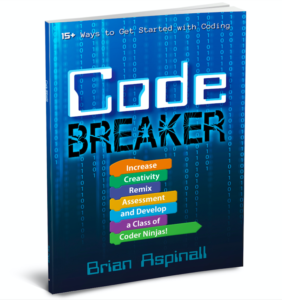 Isn’t that a part of the beauty of coding? Natural differential and more than one way to solve a problem. After each roll, messages are broadcasted based on variables to alter the costumes of each die or stone. The algorithm for keeping score is based on the bulleted list above. 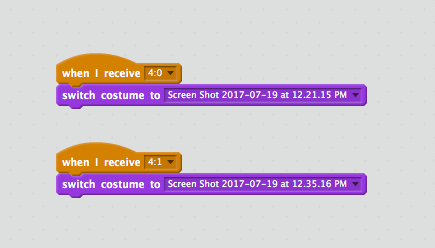 Since each variable is set to 0 or 1, I can quickly check which costume to display and determine if points should be awarded. For example, three stars might mean variable 3, 4 and 5 are all equal to 0. If you wish to play (and remix) yourself, check out the project page here. If you can help me with more information on the history of the game or other ways to keep score, I’d love to know.